Larry Foster, along with associating colleagues, is under call to provide seminars on family process and leadership. He is an ordained pastor, family therapist, pastoral counselor, and seminary instructor. Several other associating colleagues also participate in the seminars as presenters. He completed extensive 8 plus years work under Rabbi Edwin Friedman in advanced postgraduate study of family process. 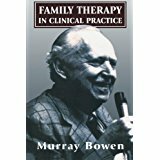 He studied with Dr. Murray Bowen, the major mentor of Rabbi Friedman and early researcher in family theory. He participates in Bridgebuilders and Healthy Congregations designed by Dr. Peter Steinke. Dr. Foster has done postgraduate training at the Ann Arbor Center for the Family, the Minnesota Institute of Family Dynamics, and the Georgetown Family Center, Washington, D.C. He is a Clinical Member of the American Association for Marriage and Family Therapy, Fellow in the American Association of Pastoral Counselors, and Diplomate in the National Association of Sports Counselors. He served in the Army as a trained infantryman, and played seven years of professional baseball. He is a husband and father of two sons, two grandsons and one granddaughter. Practical skills and experience from 24 years as a parish pastor are brought to the seminars and presentations. This past 23 years he has worked with and served pastors, ministers, priests, lay leaders, bishops, judiacatorory leaders, and members of the helping professions. In anticipation for our time together Larry is inviting us to read or read again the foundational writings and related authors in the field of Bowen Family Systems Theory and the writings of Rabbi Ed Friedman. He suggests you read whatever attracts your attention and piques your curiosity. The system is not linear, it all connects. Regardless of where one enters the literature it will lead you to all of the rest of the theory and practical applications in your working and living. 1. One begins in the basic concepts and the development of the Bowen theory. 2. 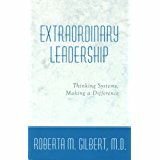 One then moves to Friedman and the application and utilization of the way of thinking in the practice of leadership. 3. In order to integrate these practices one continues to our own family of origin work, where we each uniquely have all begun. We need to explore our own emotional systems that have formed and shaped us to in our journey to greater well-being and help us to be more useful to those we serve. Additionally in an effort to enrich our learning and preparation Larry has made a generous invitation for you to write directly to him with your questions that arise in your reading. 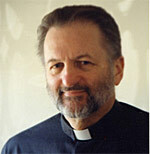 Please write to him at clergyseminars@oceana.net and put “TIIMSA” in the subject line. 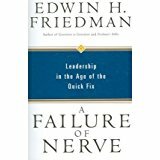 Q: Why is it important to revisit Bowen Emotional Systems Theory (BFST) and explore further Friedman’s applications to leadership of congregations? A: BFST is not only a body of knowledge, “It is a way of thinking that leads to a way of being.” (Michael Kerr, MD). “Bowen is a blueprint or a lens through which we see.” (Larry Foster). Rabbi Friedman’s works apply BFST to congregational, life and leadership in any context. Re-reading the basic texts of Bowen, Friedman and other practitioners is analogous to our relationship to Biblical literature. Having knowledge of Biblical literature does not preclude discovering something new, “as if for the first time.” This experience then leads to deeper understanding and new implications for our spiritual journey. Note from Dr. Foster: First, here are basic texts to take on for those able to get into them. 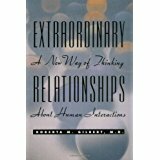 The first one I’d suggest reading is Gilbert’s Extraordinary Relationships or Friedman’s Generation to Generation. Other recommendations are the basic foundational readings for the Bowen/Friedman Axis. Note: This document is one person’s “flowing” (non-lettered) outline of Rabbi Friedman’s last book which was left unfinished but edited for publication. The aim is to capture the thinking and illustrations for initial and ongoing understanding of this “new way of thinking.” The outline is intended to promote seminar discussion and exchange for depth of grasping “family systems thinking” along the Bowen/Friedman Axis. Previous works, published and unpublished, provide background and depth. Note: A Family Diagram – also known as a Genogram – is one of the “keys to the kingdom” in our formation. Genograms and the conversations we have exploring our own family maps are never ending exercises in exploration of the story that has uniquely formed each of us and they are essential in self-differentiation. As you prepare for Gathering 2017 take some time to revisit your genogram and continue to work on your family. During our time together, Larry will coach some participants in this exercise. If you have never done this before, find someone to coach you. For some direction and suggestions, please contact Rev. Thomas G. Thompson, U.M.E.A. Approved TIIMS, at this EMAIL ADDRESS. Be sure to use “Gathering 2017” in the Subject line. Note: Dr. Foster has suggested the SQ4R Method or Reading Strategy as a learning resource for those who may get bogged down or are not sure how to develop greater understanding of the theory and its implications. Please remember to explore the literature following your curiosity, and keep a light touch. Let the preparation be enjoyable and not a chore. You will be richly rewarded. Whatever you read will serve your preparation for the conference in May. Dr. Foster is inviting participants to bring Case Presentations known to TIIMS as “Critical Incidents in Leading for Change.” His outline for these is listed below. 1. 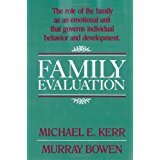 To review Bowen Family Systems Theory including background, goals, concept development. 2. To show how Rabbi Friedman picked up on Bowen’s thinking and applied it to his work. 3. 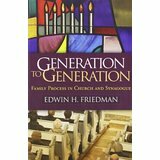 To consider family and congregational leadership applications of the Bowen/Friedman Axis. 4. To introduce the clinical style congruent with the theory. I will use video, presentations, case sample, and Q & A in the time allotted. If there are one or two individuals who wish to consider a case they are facing I would welcome the presentation and a copy of it written up. I am listing below a process outline for anyone who wishes to present a situation. This is an assessment of the situation, not a diagnosis. Describe levels of tension, where has there been sabotage? What strategies have you used? What worked well and what didn’t work well? Who in the system is functioning well? Legal and /or judicatory involvement? What questions do you have about your planned moves?